After retiring from his family construction supply business at an early age, Richard Greenwald needed something to do to keep busy. Being trained as a lapidary, silversmith and goldsmith and self-taught in woodworking, he stumbled upon pen making. Having some knowledge of pens, having an extensive collection of vintage and new pens he started by making pens from kits in the ‘90’s; first from wood and then from commercially made plastics. Not being satisfied with the plastics available commercially, he started making his own plastics with commercially available colorants. Again, not satisfied, he started experimenting making his own colors, since the commercial colors for the plastics were not vibrant enough. After research, and a lot of trial and error, he came across a formula that came out to his satisfaction. He later wrote an article about it and shared it with other pen turners. At approximately the same time, he came across a kit with parts made by a famous pen manufacturer; using his own plastics, he started making the kits and showed them to two friends, who each had their own retail pen stores. They promptly put them into their stores, and together they sold 300 of them. Even though he made the plastics, the kits were still kits, designed by someone else, and other pen turners made them too. It was time to venture out of the realm of kits. After making the initial sketches, and technical drawings, he started making “Foresta Verde” (an Italian translation of his last name). It would be a limited edition of 62 pens plus a prototype. He taught himself how to make the tools to make this pen, and then proceeded to make it. Again his two friends placed it in their pen shops and ‘Stylus Magazine’ did an article on them. The model Foresta Verde sold out in less than a year. Finding parts to make a quality pen is difficult; there are not that many manufacturers in the world. Bringing in the highest quality mechanisms and parts from SCHMIDT®, a famous German manufacturer, but they do not make everything that he need to make a pen. In a small, modest, but well equipped shop, Richard made the other parts and fittings required to produce his next pen, TERZO. Richard had all these extra parts left over and nowhere to use them. He figured since he had such a hard time finding quality parts in the US, and had to make such a huge investment purchasing and importing quality parts, other pen makers must be just a frustrated. And so Richard L. Greenwald, LLC was born. What started out as a website to offer these parts for sale to other pen makers that wanted to try their hand at making “kit less” pens, has now developed into an extensive shopping site for all things pens. RLG, LCC carries over 700 products related to the manufacturing, maintenance, repair, and collecting of pens. In addition to all of this, Richard is the only person in the world that can repair the 1st Generation Parker Duofold Ball Point Pen. Parker forwards their customers in need of repair to Richard. With the digital age, Richard’s interest in photography was re-kindled. Specializing in macro photography, but not limited to it, RLG, LLC offers Richard’s unique eye in finding the beauty in everyday things, whether it be in the petal of a flower or a cloud in the sky. 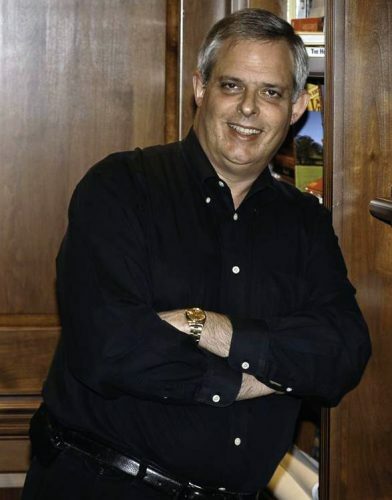 His photographs have been featured in national magazines, one being the front cover. The prints will be named and signed by Richard twice, once in indelible black ink, and another in ink that can only be seen under a black light (that cannot be copied). As he explores more of the macro world, it will be offered here. Like with most men, there is always that woman standing behind him making him look good. Richard’s wife, Betsy, is the actual brains of RLG, LLC. As Richard is the creative/technical source of the company, Betsy takes care of everything else and keeps the operation running! So when you are emailing the company, don’t automatically assume that you are getting a response from Richard. If it’s a non-technical question, its most probably coming from Betsy. 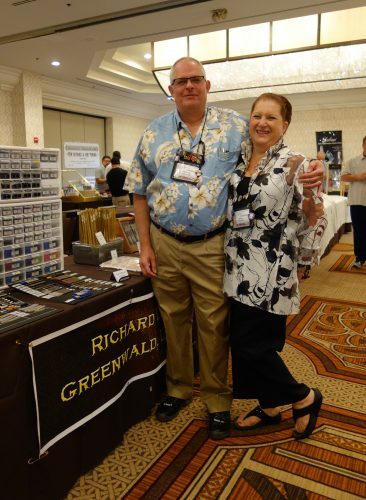 Together they operate RLG, LLC from their home and travel to 4 or 5 Pen Shows and Pen Turners Gatherings in the North East United States throughout the year.